Secure by Design hosted its annual National Training Event in March 2018 at Whittlebury Hall, Towcester. 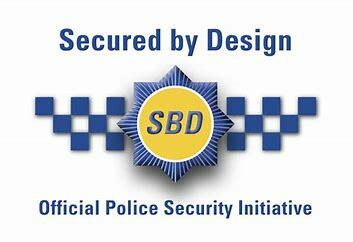 This is an annual Secured by Design (SBD) two day event to provide continuing professional development for the crime prevention design staff who are based within the police forces around the country and administer Secured by Design within their force areas and SBD company members. The training event was well attended and allowed exhibitors the opportunity to interact with another group of force delegates and senior decision-makers. Neos Protect attended the event to exhibit, network and interact with Designing Out of Crime Officers and companies from within the industry. The event is great for allowing Neos and fellow businesses to introduce the products and innovations they currently hold which are used to improve security for clients. There were refreshments and hot and cold food provided throughout the event allowing opportunities for private discussions and networking. On the evening of the first day, there was a meal and entertainment provided for all. This included Scalextric car racing, virtual reality games and a horse racing derby. Hampers and easter eggs were on offer for individual winners of these games. This was a brilliant way of team bonding with all attendees and showed a more social side of everyone!